Starting with the Mediterranean ambiance of Montreux, the train climbs above the lake and passes through a tunnel. Coming out at the other end, you find yourself among alpine forests, bubbling mountain springs and picturesque mountain villages. 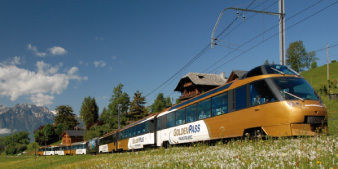 The train continues to Zweisimmen, transporting you through fairytale landscapes. In terms of contrast, there is nothing more striking than travelling through the Jaman tunnel. One passes from the Mediterranean to the Alps in no time at all. You have hardly left Lake Geneva sparkling in the plain, before you see the turbulent mountain streams tumbling into the sombre valley below high bridges and dark pine trees rolling past in front of you. Make a stop in Rossinière to see the Grand Chalet with its 113 windows that look out over this beautiful region. It is located next door to the train station. Balthus, the great painter, also lived here. In Château-d’Oex, it is possible to see a hot air balloon in the sky or perhaps several of them, as the area is known as the hot air balloon country. The names of the villages then change from French into German. You are now entering the Saanenland region, which is known throughout world thanks to fashionable Gstaad. 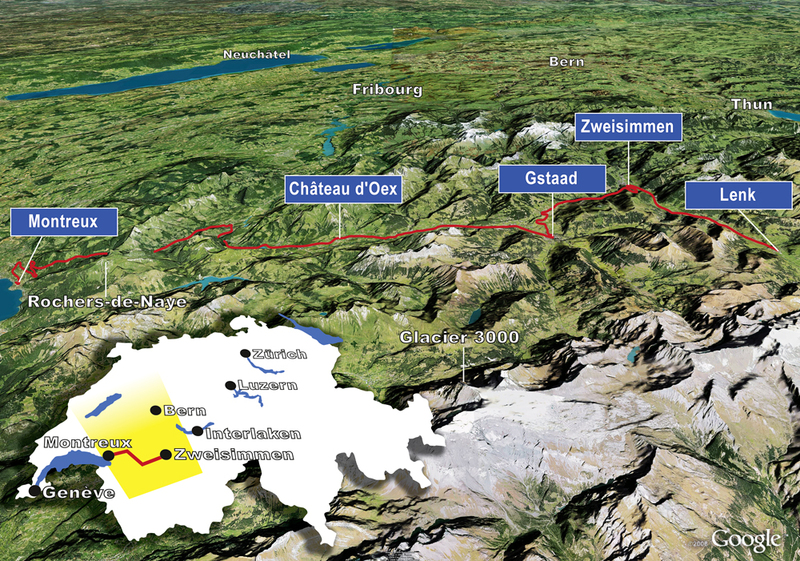 Schönried and Saanenmöser are also part of this region as well as Zweisimmen, where you will change trains.